Welcome to the Gabriola! 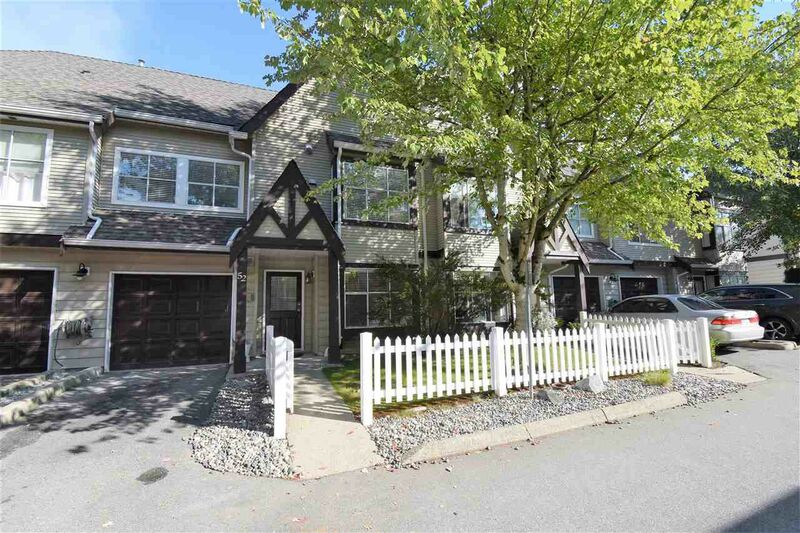 Nicely updated 2 level 3 bedroom/ 2 bath townhome with single car garage & driveway parking! Updates include NEW carpet throughout, NEW paint, NEW lighting, NEW 2" blinds, NEW HW tank, re-faced gas fireplace in the cozy living room with picture window & window seat! Main floor also offers formal dining space, kitchen w/ new countertops & sink, along with a bright southern exposed eating area. The 3 bedrooms upstairs are all generous in size, including the VAULTED master bedroom with HUGE walk-in closet & fully updated 3 piece ensuite! There's also a 2nd fully renovated main 4 pce bath! Bonus level exit, extra large fenced yard on the quiet side of the complex! Quick walk to elementary school, Save On Foods, Starbucks & Tim Hortons!